Christmas was abnormally warm with wind gusts from the South that put out our electricity for some of the night. John graciously accepted his very practical gifts. We're swamped with chocolate and leftover ham(both of which are totally fine). In two weeks we attended three family Christmases, of course Church on Christmas day, and one evening service with carols. New Year's and our Anniversary we have all to ourselves! 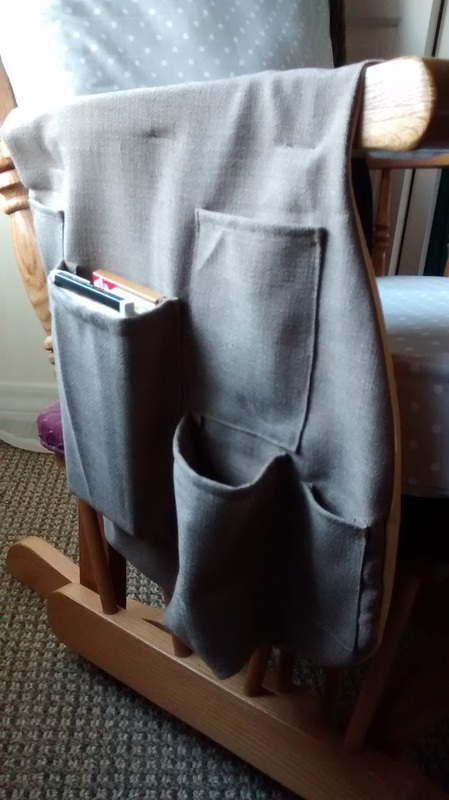 I checked one sewing item off my list this week, a pocket-bag for our gifted glider rocker. I made a pocket for a water bottle, my phone, and a pocket that can hold at least four bars of chocolate(No, I don't plan to lose baby weight!). The purpose being, there's not much room for an end table and I thought it would be handy to have some of those things close during the first months with the baby. It turned out well! 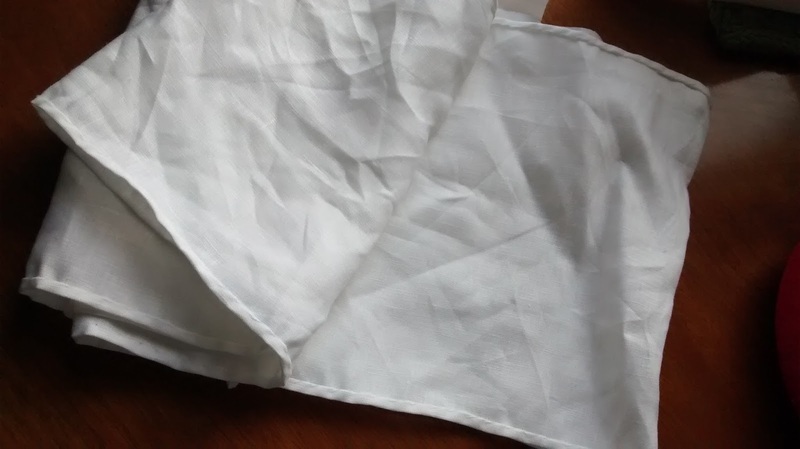 It's just a flap of fabric that folds over the chair arm and ties underneath. We had a very nice Thanksgiving back with my side, the last time we'll all be together until the babies come. Lots of games and food, way too much sugar, sleeping babies and more food. We drove back late Sunday to arrive at the absolutely exhausting hour of 2am. Oh well! It was worth it. 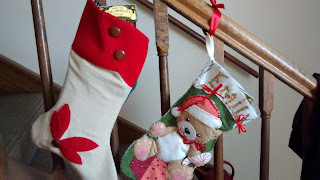 I miss all the Christmas decorations that a family of nine collects over the space of thirty years. I miss all the nativities we set up, and I want to get a collection of our own over the years: several child-friendly sets and several beautiful sets. But we're working on it, and a recent cold snap makes it feel more like home. 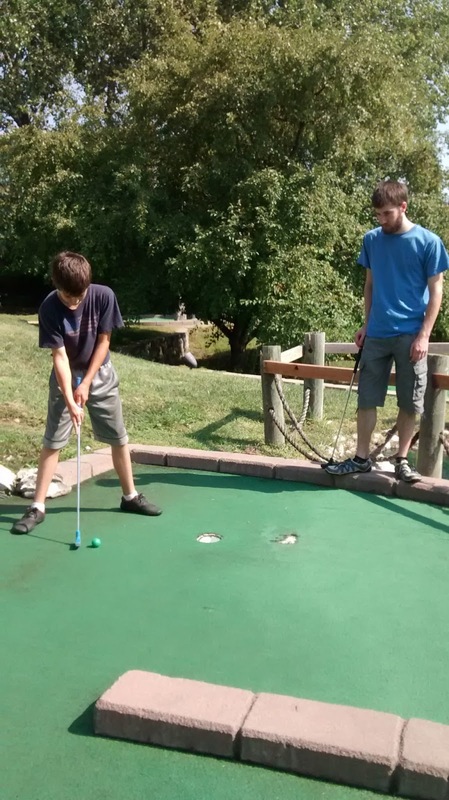 Now's John's off school, too, and we are so enjoying more free time and social time. 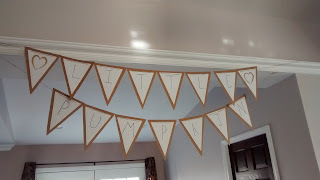 Next up: Getting ready for the baby! One or two Mondays a month I go spend the morning with a group of retired ladies tying blankets together for charity. 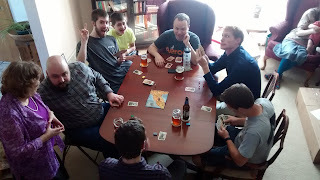 They're Lutherans, which is a nice break from Baptists, and while they do mostly talk about their health issues they can be an interesting group. Most of the ladies are widowed, all are retired, and all of them are well above sixty-five. Mildred is the eighty-something powerhouse ringleader. I stayed away the whole three months of morning sickness(because I was sick), and when I went back Mildred decided they needed to give me a shower. That was Monday, and Mildred was so excited she said it was like Christmas. It was very sweet of the ladies and exciting to be given baby things. Apparently Mildred has everyone convinced that our baby will be a girl. And I now have plenty of onesies, if nothing else. 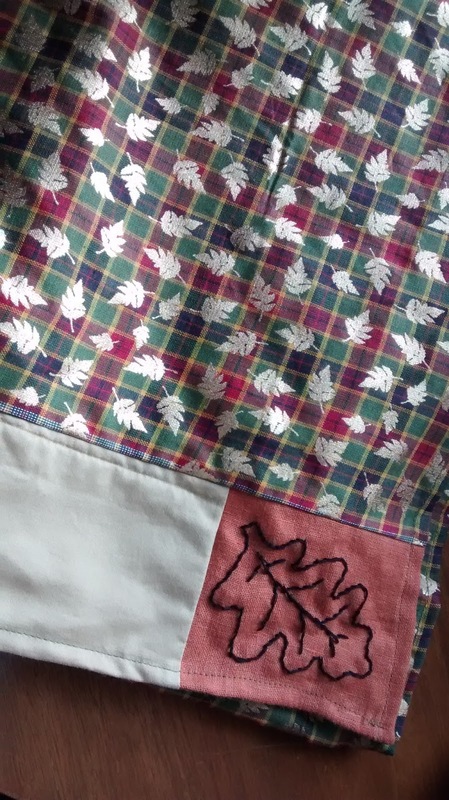 I've put together a quilt top for a baby blanket but I'm not sure if I'll be able to finish it before the due date. Ir's made entirely from scraps from my stash, so very practical. I'm under no delusions that this will probably be the only baby blanket I will ever make, so if I have more than one child, they'll just have to share! I read this article recently and I could really relate to what it said. It hasn't quite been a year since I moved away from my life-long home. 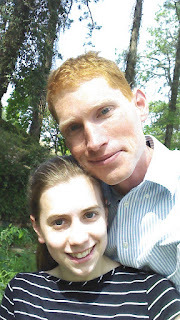 It's great to be married, and I do have a home with my husband; but I'm still lonely for women friends and the place where I had lived my life. Granted, three months out of the past year I was sick on the couch, and that sure decreases homesickness, loneliness, and in fact, all cognitive thought. But I've still had plenty of time to be lonely. It's made me think more than ever before on what makes a good friend, and I've boiled it down to these three points. Of course people have different ways to express caring; but for the most part I think these three go across the board as life habits that make for good friends. Part one to this point is that meeting people is hard, and requires a lot of time. You must go through the work of introductions and learning basic get-to-know you stuff, and remember it. Then after hours of basic talking and many encounters can you move on to more substantial conversations. Meeting one person at a time while still having other friends isn't so hard- but having no friends and having to set up get-to-know-you foundations with all people you meet is draining. When I get down about being lonely it seems even harder- who has time for me? Who's available? How can I even find such a person? It takes conscious, prolonged effort to meet people, and it's a great ministry to make that effort towards new people. Part two of this is that people today are too busy! There's someone I would like to have over for tea- but when she mentions she doesn't even have time to cook herself dinner at night, it makes me wonder if it's unkind asking for her time. I've been glad to meet a few of the other student wives here- but when they're working full time and the only free time they have is the weekend, neither of us want to give up the only time we really have with our husbands. Busyness of people's lives cut down on relationships. But what is more important? I'm not busy now; this past year has been the least busy for me since high school. But I still need the reminder that people are more important than a clean house or rest. I'm looking for friends who are willing to spend time with me. In short, there are way to many talkative people in the world. Gift of gab? I don't think so. Being talkative is not a gift- it's a sign of selfishness. Being a good conversationalist is a gift. Everyone wants to be heard, but listening is something most people have to learn to do. Listening to someone is a true sign of caring. This is something we want to teach our children- having true friends involves having conversations; conversations involve both people taking turns talking and listening. I want to be a good conversationalist- I need to get much better at asking questions. Unfortunately I've been blessed with a rather quiet voice, so listening isn't usually my problem; quite often people just don't hear what I'm saying so all I can do is listen! This was a pet peeve before I ever moved- public school has trained generations of women to only be friends with their age group. This pattern cripples Christian women who read the exhortation of Titus 2 and really desire to be that woman, but have a lifetime of friendships only with peers. I've had the opposite- in my adult life, getting married later and having a small church peer group, my close friends have been either those ten years younger, or those women ten years older who could look past the age difference. And I am so thankful for those few older women! I hope I turn out like them. 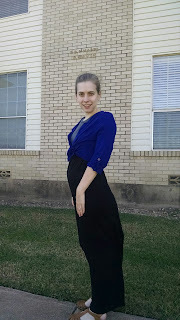 Figuring out some form of maternity clothes to cover the growing, kicking baby, and still keep my standards of modesty. I hesitate to buy too much labeled as maternity because of the price, and without seeing it in person; so far I've purchased one Pink Blush maxi dress off Zulily and a skirt and dress off Motherhood Closet. I have a few more options I'm considering on Amazon(high neck tunic? Loose knit pants? ), but we'll wait and see on those. 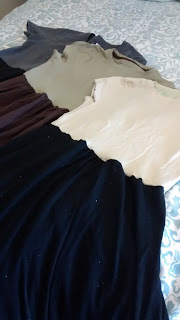 I also haunt Pinterest, which has become something of a demise since I got morning sickness, for maternity sewing ideas. So far the most I've done in sewing for myself is refashion $2 tees from the thrift store+ $3 maxi dresses, also thrift store =very comfortable T-shirt dress that fits the current me, is cheap and easy to make. I prefer to wear a blouse, sweater, or bolero over top as well, just because otherwise it really does look like you're wearing one big t-shirt. I haven't found any good local place to shop for ready-made maternity clothes, but it's on the to-do list. I've just been chilling with my mango, which is turning me into a pear. My morning sickness seems to be fading. I'm very grateful to be feeling much less nauseous; but still tired! I've had six orders of trousers and breeches in the past two months. Definitely my best-sellers, but I do get tired of those leg plackets especially. Getting paid is nice though! 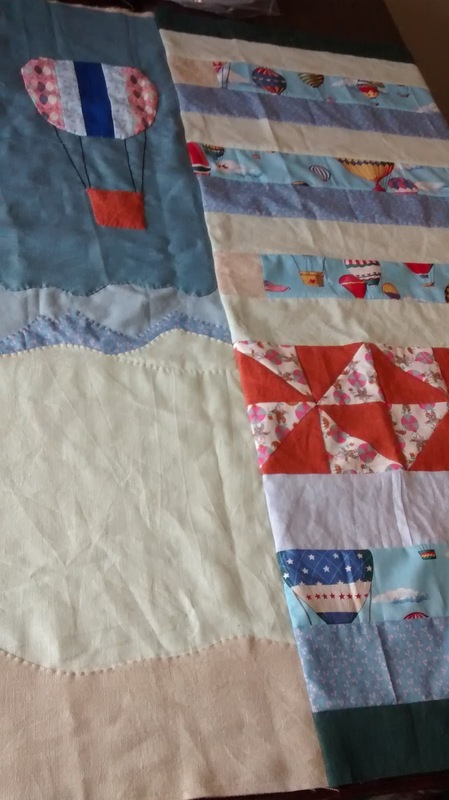 I also have a pile of projects that haven't been touched those months of being sick: a baby quilt; maternity clothes; curtains for a friend; slip covers for a new gifted rocking chair. A baptismal gown! I'm slowly trying to get those done. 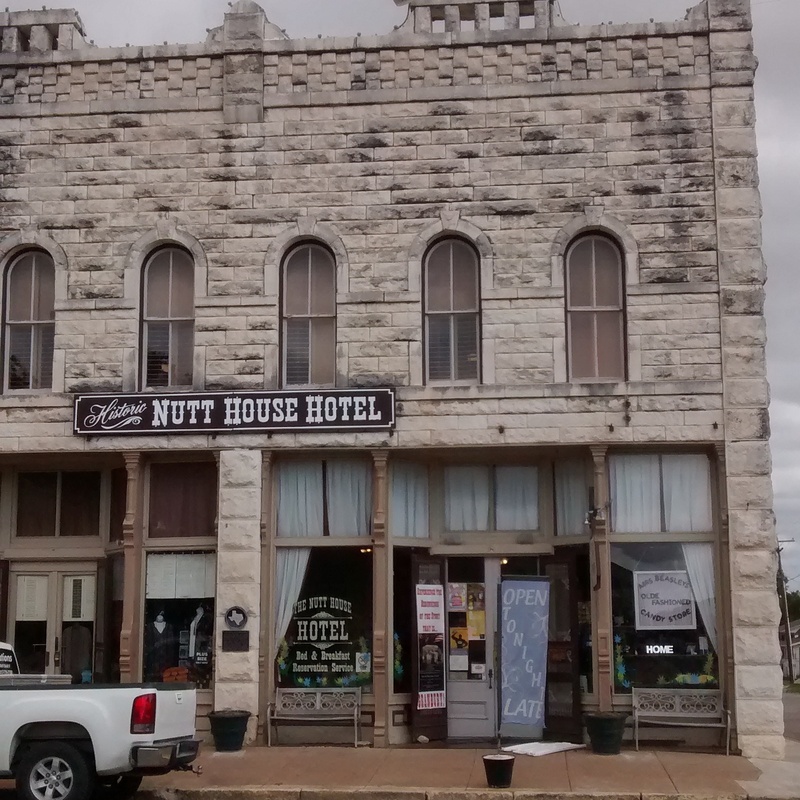 We went to the nearby town of Granbury over fall break and had a wonderful time. It's a wild west sort of town, with a man-made lake surrounded by new resort-style hotels. We stayed on the square and confined our outings to that older part of town. We had good food, saw the local Presbyterian church(they still use the bell! 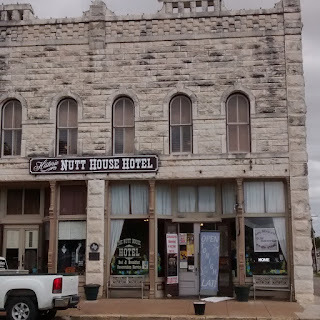 ), visited the library book store, and stayed in a historic hotel. Very relaxing and much needed! While I've spent most of my summer lying on the couch feeling sick, I'm hopeful that I am slowly becoming more able to get back to work. 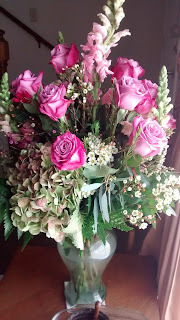 I'm just back from a wonderful visit to family and am working to recover and jump back into the fray! The fall season is peak for sewing costumes, and I'm hoping to make a few more sales and get some customer base back after taking off during the wedding and move. First priority, two pairs of black linen trousers. This is a cool order- black linen is just dramatic, and these are for someone who does fencing for events. 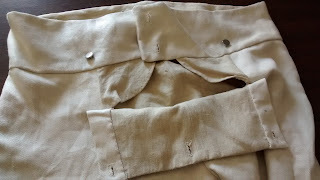 Finished last month, two fine white linen cravats. A basic necessity for every gentleman. Also finished, a Fall tablecloth for my table. 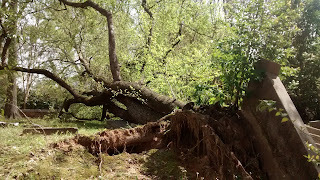 Very brilliantly fall-ish. We actually had a cool spell here- in Texas, in August, and that helped get me in the mood for the season. Plus, I'm oh so thankful for the cooler weather. Now it's back up to 90, but just so long as it stays below 100, I will strive to be grateful. We had a wonderful, exhausting 4th. Visiting family and church events wore me out completely. We also hit our six month marker and finally visited the college kid hotspot, the Pizza Snob. 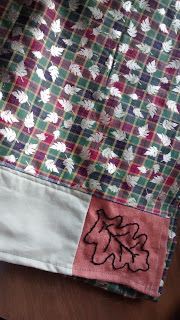 I've been experimenting more with pieced quilting. I still don't think it will ever quite become my thing, but it's nice to use scraps in a creative way. Most of my fabric scraps are linen, which I'm sure comes together differently than the crisper quilting cottons. 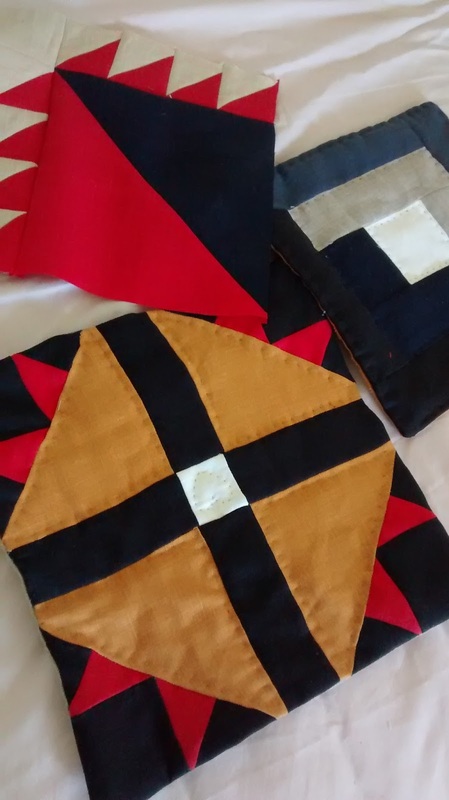 The squares pictured above are more samples for my friend Penny to use in her living history demonstrations. The one on top, though, I realized afterward that all the little triangles are on wrong- so I have to re-do that. Otherwise, we are enjoying having a quiet summer. John doesn't have school obligations; I certainly don't have obligations; and it's nice to be relaxed before school starts again. 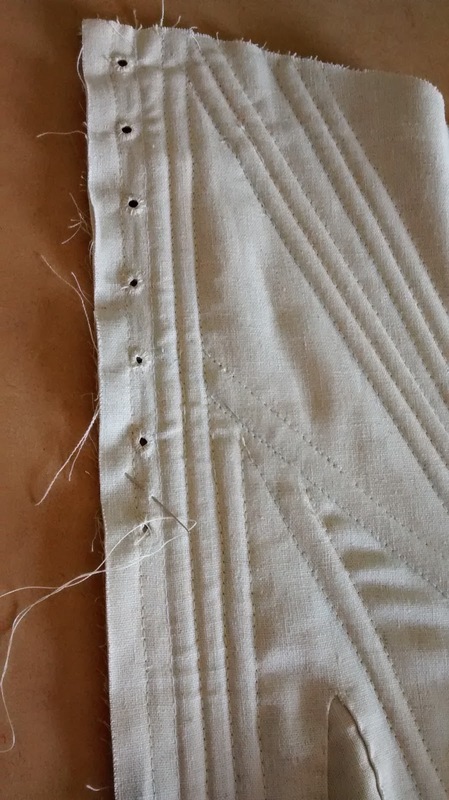 I'm working on finishing up my current order of breeches and a waistcoat. 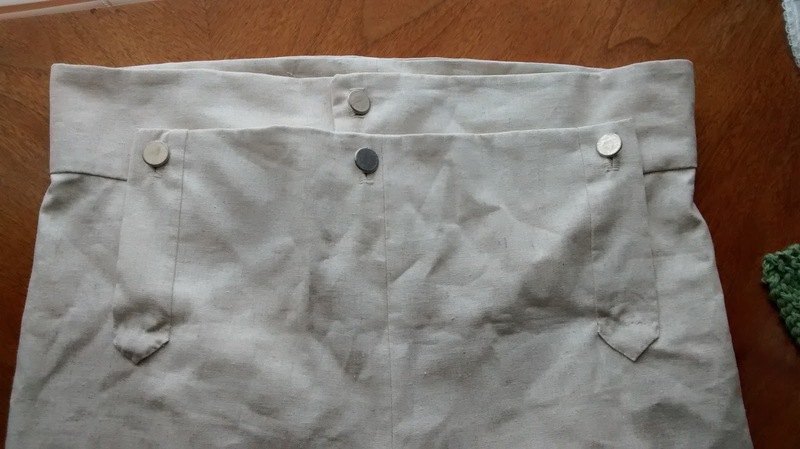 It's a heavy wool twill lined with linen. It's really too bulky for breeches, so I don't plan to do that again. When I line breeches I hide the inseam, and just finish the outerseam together. With the front flap detail it just seems to work best. Leg plackets: the worst part. So fiddly. So now that we've been living here for a few months we've had time to give our neighbors code names. Our complex is in a U-shape and there are seven townhomes on our strip. To our right is a phantom family who we almost never see coming or going. Then there's the Grill family, who own at least four grills parked on their tiny strip of concrete. Just next door to us is the unhappy family, whose parents always seem tense and the children hyper. They're the ones we hear the most, endlessly running back and forth on the other side of our shared wall. On our other side we have a Korean family; the husband seems friendly, the wife doesn't speak English, and the daughter very inquisitive and also energetic. 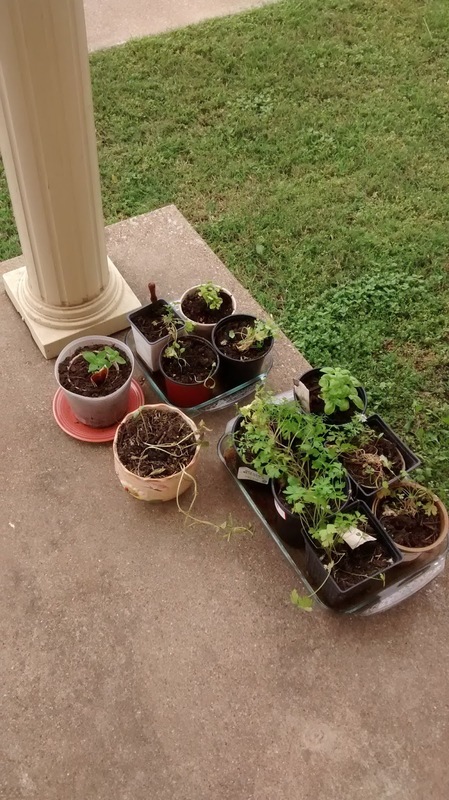 The wife also broke campus law and planted tomatoes outside her door. I'm jealous of her rebellion. 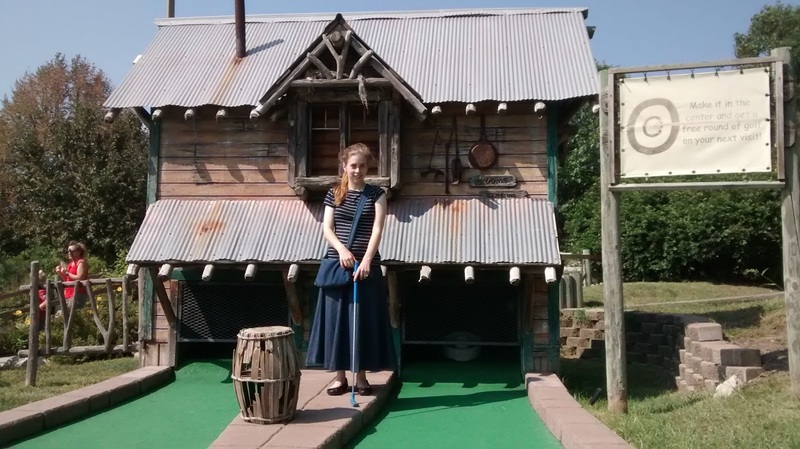 After that there's the only family we've really gotten to know a little bit; we started out calling them the fundamentals because we guessed they were fundamental Baptist. They're really not, but it's too hard to change their name now. After that is another phantom family who just moved in this spring. We don't know much about the other neighbors in our U, except we know there's several more Korean families and one bi-racial family we've named the screamers, because their little girls are constantly, fervently, whole-heartedly screaming. I've officially finished my corset and need to move on to my dress, with the goal of finishing by the end of July. It is amazing to me just how different this style of corset feels compared to my 18th C corset. Way back when before our May trip I signed papers to volunteer at the Log Cabin Village. 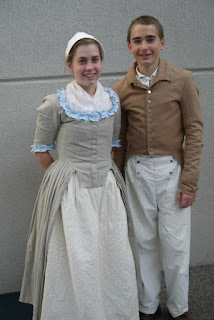 Before I start, though, I have to make that new 1840's outfit. 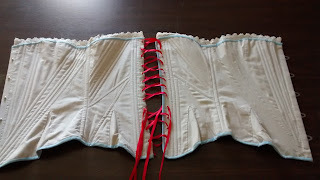 Well, I got hung up on making the stays/corset. The 1840's seem to be that odd era where things started changing from stays to corsets, from shift to chemise. It's all very confusing. 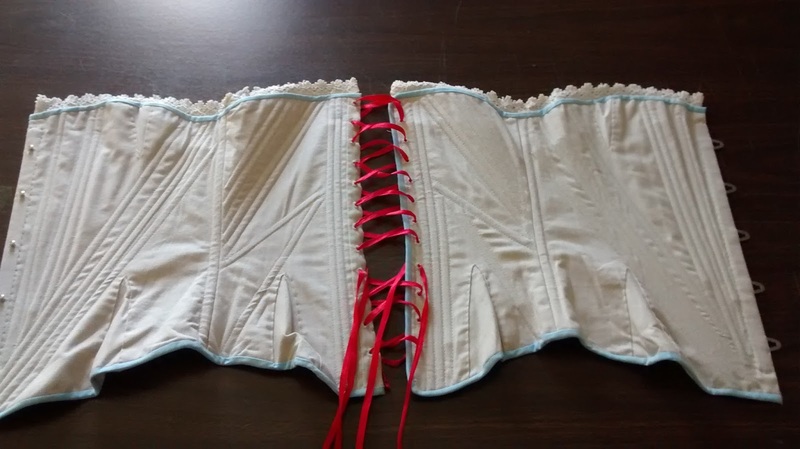 I've made several pairs of 1770's stays, but that's the only type of corsetry I've ever made. This is when bodice shapes started transitioning from the almost looser late-Regency style to the mid-century hourglass. 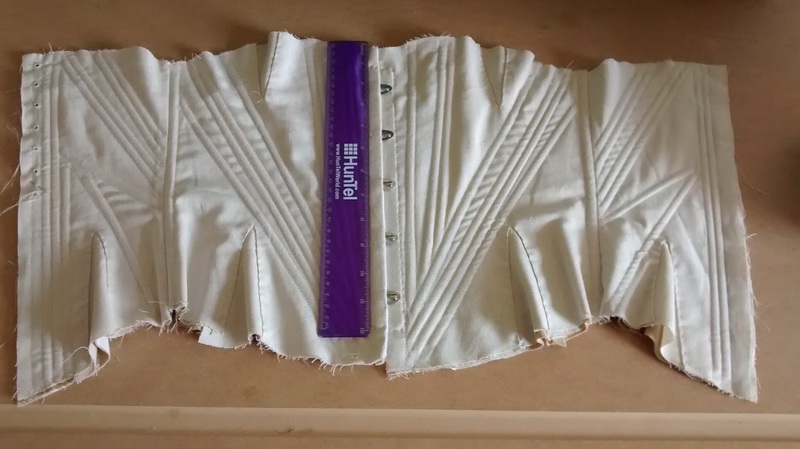 Since this corset is for myself, and since everyone else on site is already less accurate because they don't wear corsets, and because I am now in a hurry to finish, I feel that gives me license to just fudge it through. 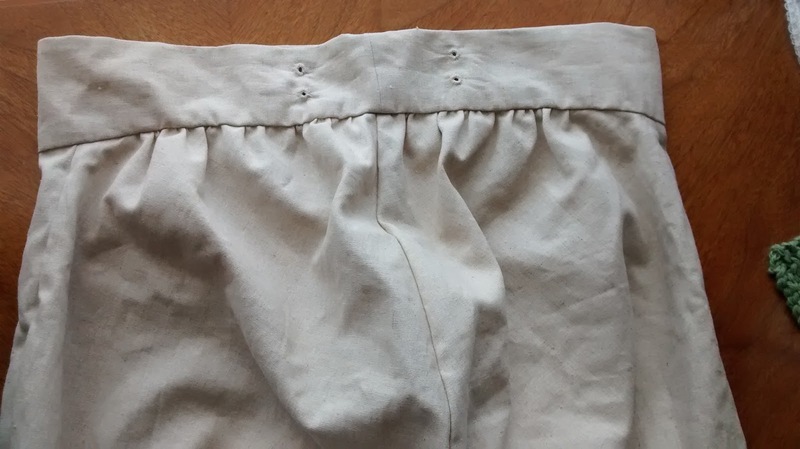 For a base I used Past Pattern's 1840's stays pattern, kindly loaned to me by a friend. 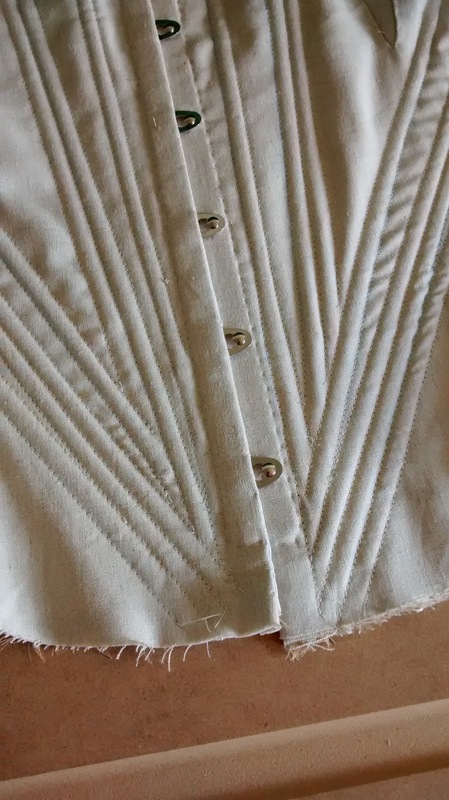 This pattern has cups, while later corsets do not. 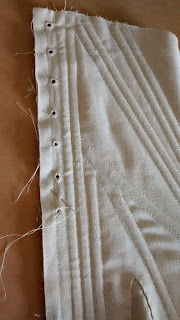 This pattern is corded, while later corsets are boned. I decided to blend the eras a bit and add boning, not cording. For fabric I used two layers of cotton sheeting and two layers of leftover linen/cotton. All very affordable, all fabric I had leftover from something else. I did buy a center-front busk(Etsy!). For boning I'm using my favorite, plastic zip ties. I know some people say they can bend from heat, but I haven't ever had trouble with my stays becoming mis-shapen. I think I didn't wear them often enough, and that's also probably more of an issue for larger women. 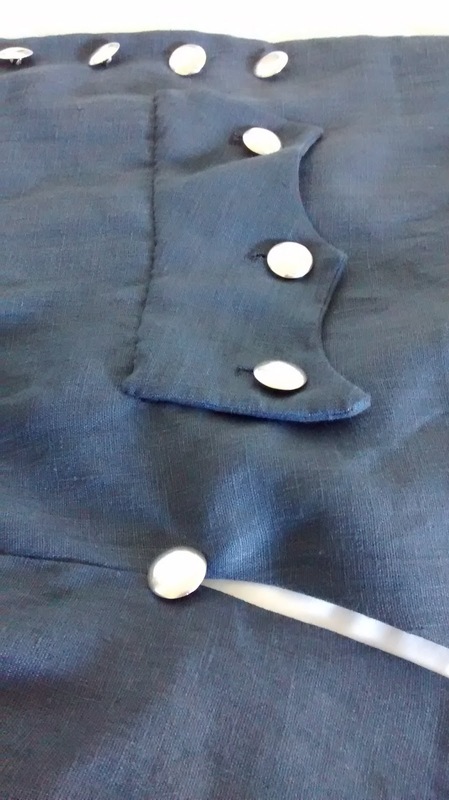 I've never used a center-front busk before, so apparently I put it in the wrong order and so had to hand-sew it in. I definitely rushed the last part of making this, and it's not my best work ever! But I learn something every time I sew so nothing is wasted. 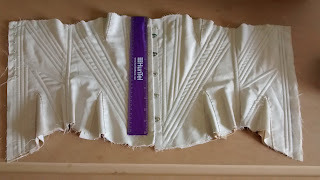 Some people's corsets are really works of art; I actually don't sew costumes much for myself, and when I do I rarely spend the bulk of my allotted time on underthings. 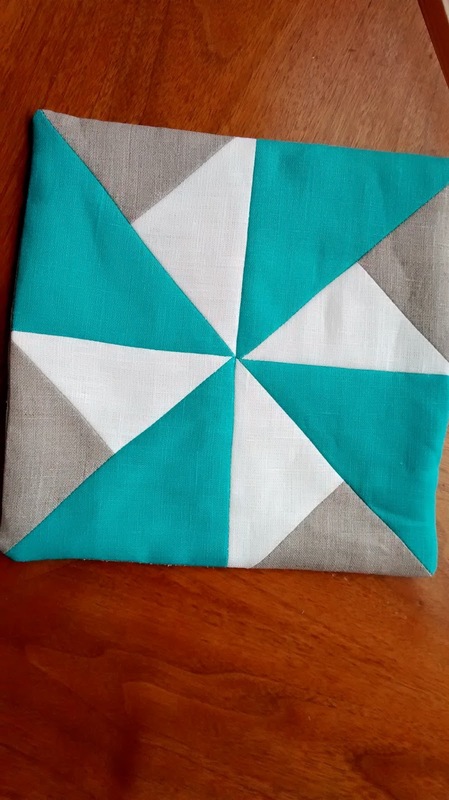 Here's another blogger who made this same pattern all by hand. I'm not that dedicated when it comes to my own underclothes! For our Memorial Day holiday we drove down to the Houston area to visit friends. Houston's been getting lots of rain and high winds, so when we arrived the electric lines in their area were all down because of fallen trees. It was very dramatic and I didn't take any pictures. We enjoyed the company and some good chocolate, despite the lack of full power. So far the temperature has only barely reached 90 just a few days. Every day it's still in the 80s I rejoice and am thankful for a victorious, climate-changing God. If the Sahara can change, Texas can change too. Every day this week there's a chance of rain! 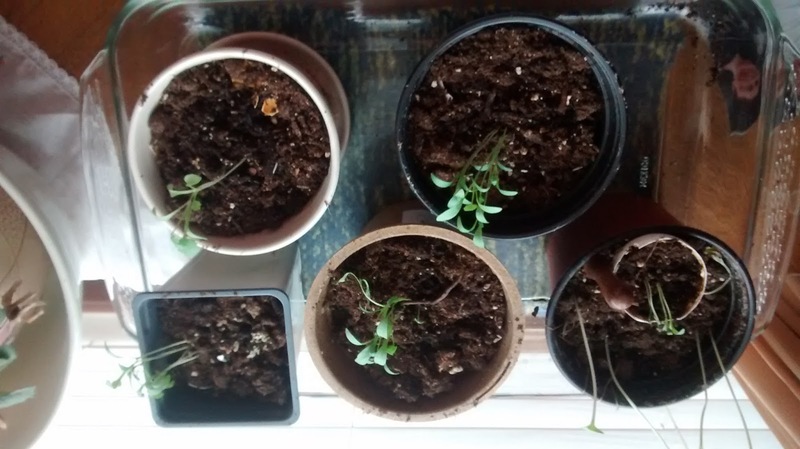 My potted herbs are doing well; I'm cautiously optimistic that they may be thriving. To my slight annoyance, our next door neighbor has been running the air conditioner(It's just loud) for the past two months. We determined to keep ours off until June, at least. I mailed the linen coat this week. I think it turned out well, and hopefully the owner will think so too. We're back from my first post-marriage return to my home state and a nice, long family reunion. Now it's back to work! 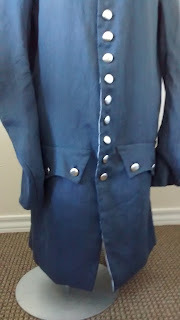 My current project is a 1770's civilian coat in Navy linen. It's fairly basic, but I'm glad to be getting back into sewing orders. This coat has no cuffs or collar; it has 10 plain pewter buttons down the front and three on each pocket flap. 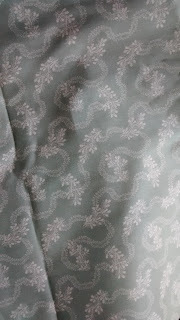 Lined in white linen, which was on sale from fabric.com for $6 a yard! I was worried that this linen would hang too loosely, so I used a $2 thrifted sheet as inner lining for the front of the coat. 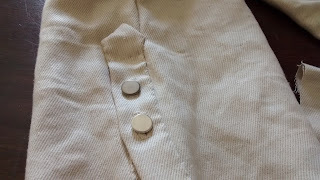 Speaking of projects, I've added two listings to my Etsy shop: a customizable Regency-era waistcoat and basic shirt. 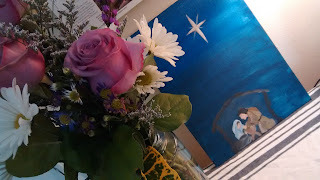 NEW Tablecloth: Periwinkle blue and vintage! 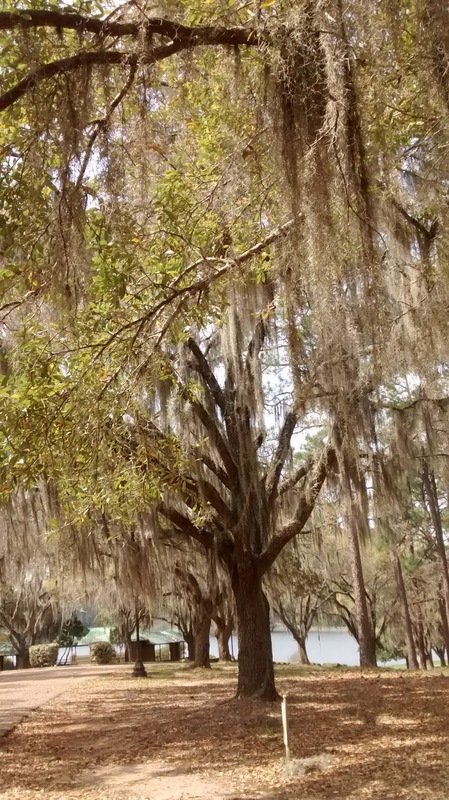 I visited the nearest Hancocks this week in honor of their upcoming demise, and bought fabric for a tablecloth. 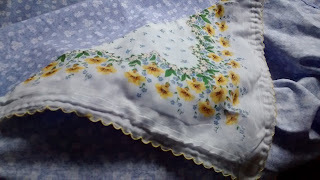 I even dredged up the courage to cut two of my vintage handkerchiefs to decorate the corners. I have a whole stack of fine linen and vintage handkerchiefs from my great aunt, which I always mean to put to some use. Only two handkerchiefs were harmed in the making of this project. Great-Aunt Elinor was quiet, a good writer, and loved animals, especially horses. She was an only daughter with two brothers, never married, and took care of her parents. We didn't see her often until her health declined and she went to a nursing home. It was a sad place. 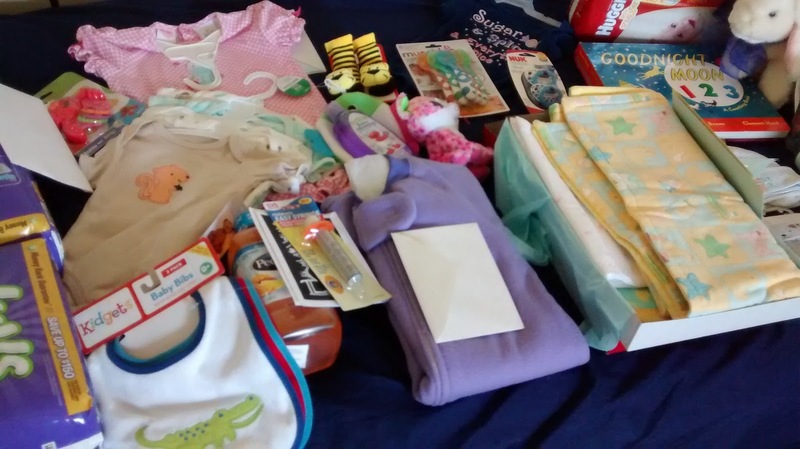 When Elinor passed, I ended up with some of her books, a quilt, and a box of handkerchiefs. I've already been using the bright ones as decorating in our oh-so-off-white apartment. God made colors and I appreciate them more than ever! Well, since my last posting I had another decline in health. After a week of solid invalidism, virus and infection, John took me to the clinic to get a prescription for some antibiotics. Now I've been blessed with a life free of major accidents or illnesses, plus mom being a nurse, so I'm fairly sure I haven't been to a doctor since I was five. It was interesting and felt slightly defeatist. The nurse established that I am five feet tall and currently weighing 97.5 lbs(don't be jealous, I just hadn't been eating) and my blood pressure was 110/72. I also signed fifty million papers allowing them to disclose my information, to someone, somewhere, for some reason. I thought I would beat them to it and just post it here. My plants on our back step. We got the antibiotics. But, long story short, it wasn't a bacterial infection after all, just a really long-lived virus; possibly the measles. So all in all I've had a rough two weeks, and I'm very happy to finally be feeling better, and finally catching up on everything that got dropped for those two weeks. One of my projects is making up some examples of early quilting styles, to be used as conversation points back at Ft. Atkinson. 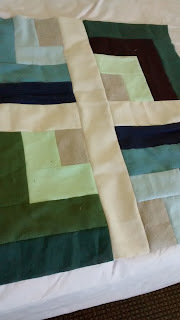 I'll be making a few simple pieced blocks appropriate for the era, and then hopefully some plain wholecloth blocks, and maybe I'll try trapunto. This is the first pieced quilt block I've ever made, and it's not perfect- but it will do. I think when they all get done it will be a nice little collection! Finally I have some sewing projects coming up! Very odd colored fabric for a new dress. A new dress for myself. 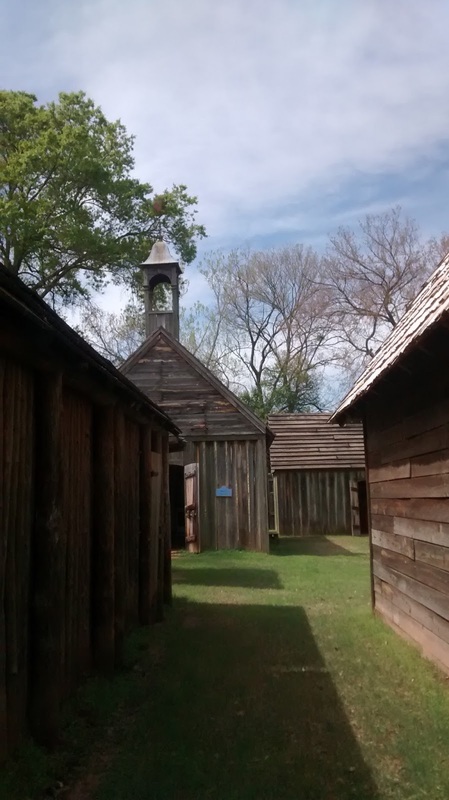 I applied to volunteer at a local City Park that has several log cabins dating from 1840 up to 1870, which were moved to the site some fifty years ago. 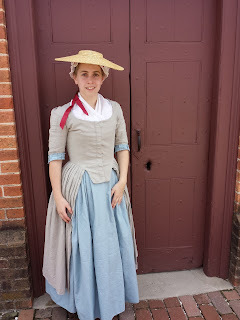 So that's one reason I sold my colonial dress- to fund a new dress for volunteering. I have to say, I haven't liked any of a 1840s fabrics I've seen that are darker, more practical colors. They are super busy and slightly oppressive to the eye! I'm a short person, and if I decorate myself in a busy fabric I'll look like a clump of Victorian wallpaper. 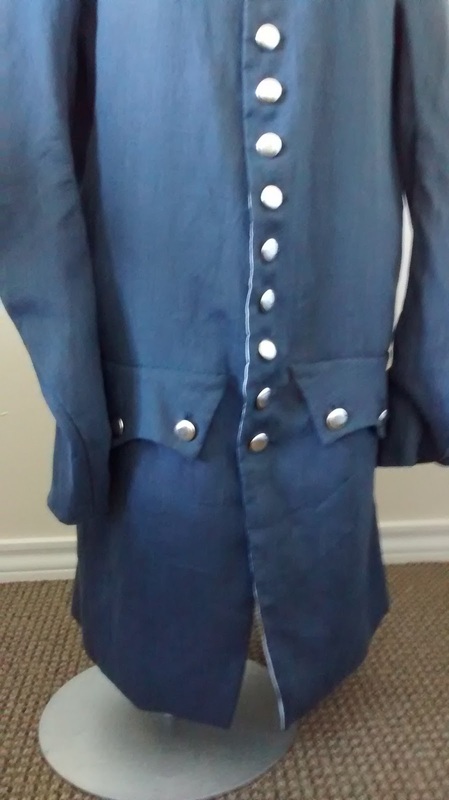 A 1770's coat in navy blue linen with plain domed pewter buttons. 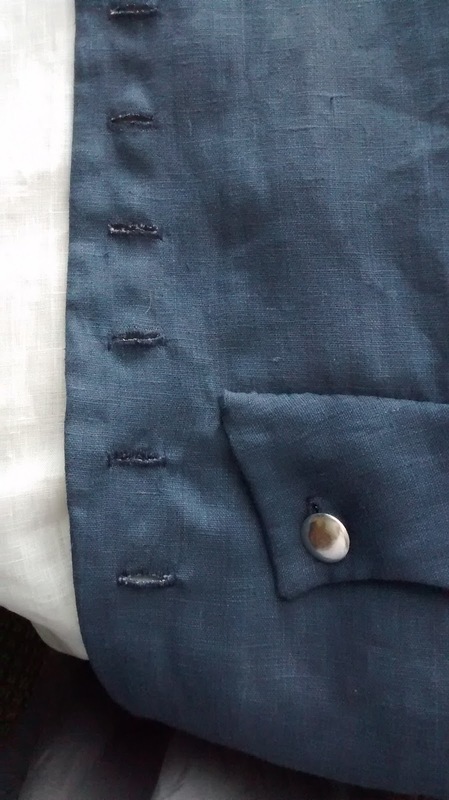 It will be the same pattern as the green wool waistcoat, only with sleeves and a more curved front. It will be fun to get back to coat-making! And in linen, too. All the coats I've made previously have been in wool. 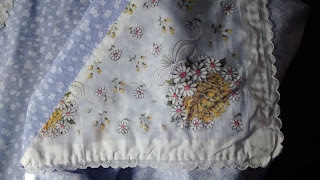 A silk dupioni table runner. A simple project, but I don't get to work with silk much, so that's nice. So I got sick last weekend. Nasty sick. Bedridden. On Tuesday I was finally well enough to want to eat, so I peeled myself off my sickbed and risked fainting in the produce aisle. And I forgot to buy toilet paper- sorry, John! I had two mangoes, a grapefruit, strawberries and blackberries. And chocolate covered espresso beans. It was wonderful. But I'm still sick and very much looking forward to being healthy again. From my 2011 Picture Folder: The original trim! 2012 PHF, wearing my quilted petticoat! 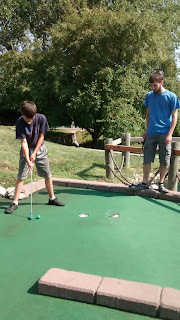 And even four years ago, Andrew was taller then me. I think that petticoat and matching trim is my favorite. And now here I am, in Texas. We appear to be a good four hours from any historical group or location where I could conceivably wear my Colonial gown. In the depths of reenacting woe, cursing the uncultured darkness of Texas, I've been thinking of selling some of the few costumes I have left. Which isn't many; I sold most of them before I moved. But I haven't quite been able to sell this dress yet. I'm still clinging to the sentimental thought of keeping it for a little while longer! So since John is in school he gets this thing called spring break, which as a homeschooled student I never experienced. We took the opportunity to go on a sort of second honeymoon, since the first was a rather short part of a very busy time. 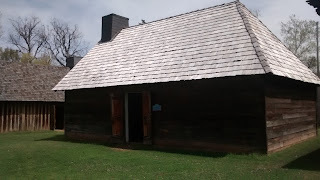 We reserved a very private State Park cabin which was adequately clean and furnished. The only fault to the cabin was that too many people had already slept on the bed before us. The park had a beautiful garden with man-made lake and waterfall, terraced gardens, massive flower bushes, and lots of walking paths. 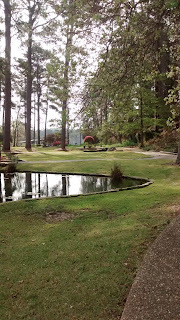 It was perfectly serene and very pretty. 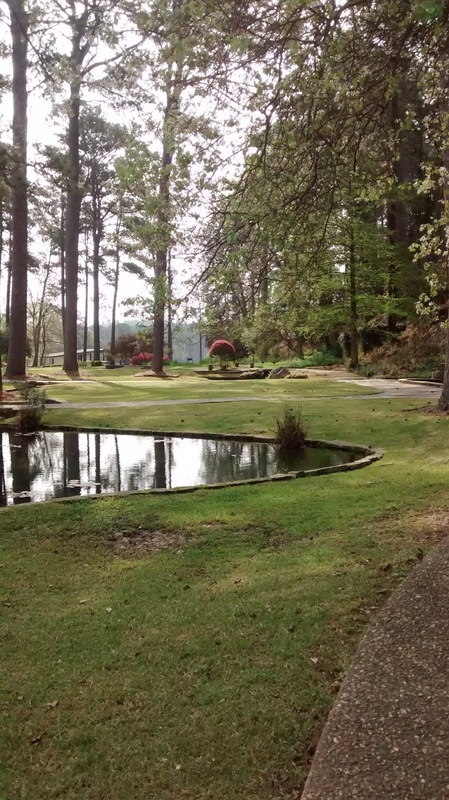 We spent one day sightseeing in Natchidoches, LA. It's an old, old French town with beautiful homes and several historic sites. Sightseeing is exhausting, so we confined ourselves to see Ft. St. Jean Baptiste and the American Cemetery. We ate Southern fast food for lunch and Japanese for dinner, with a root beer float in between. John bought soap for our souvenir- he has a weakness for soap. 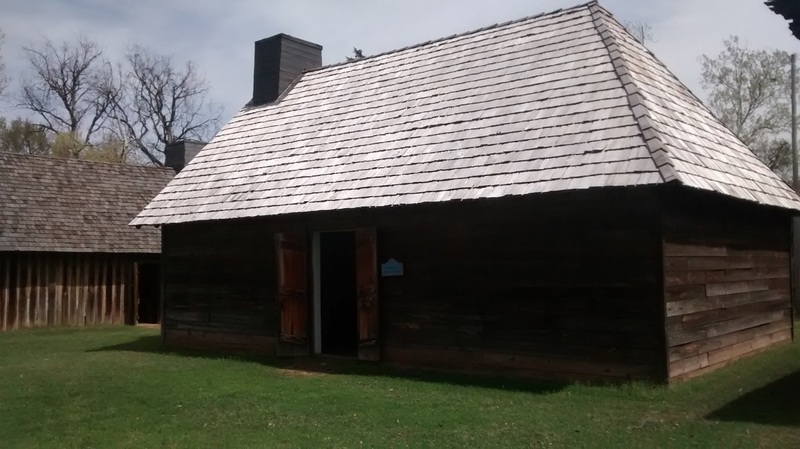 The Fort was a small compound of wooden structures. It was rebuilt some forty years ago based entirely on written records, since no archeological evidence of the buildings remained. 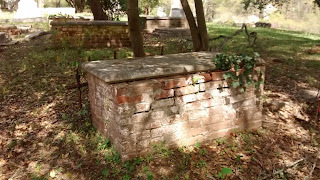 Fifty French solders were stationed there, and there were no battles during the existence of the Fort. Apparently they have reenactments just twice a year, April and December. The American Cemetery was a very diverse mix of tombstones and styles. 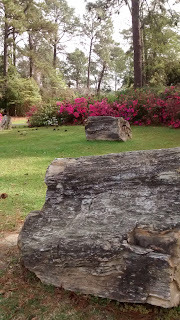 There were a few older stone and a few stones that looked almost home-made, which I've not seen before. There were more raised beds and more cast-iron gated plots than I usually see as well. 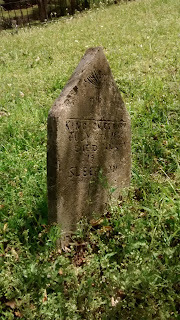 The cemetery was pretty, but slightly unkempt. Overall it was interesting to observe how many subtle, historically-influenced cultural differences there were everywhere we went. The French influence was everywhere, with lots of fleur-de-lis patterns for decoration. One of several raised brick beds. This tree had fallen and uprooted the stairs, but it's still alive. There were several large hunks of petrified wood. 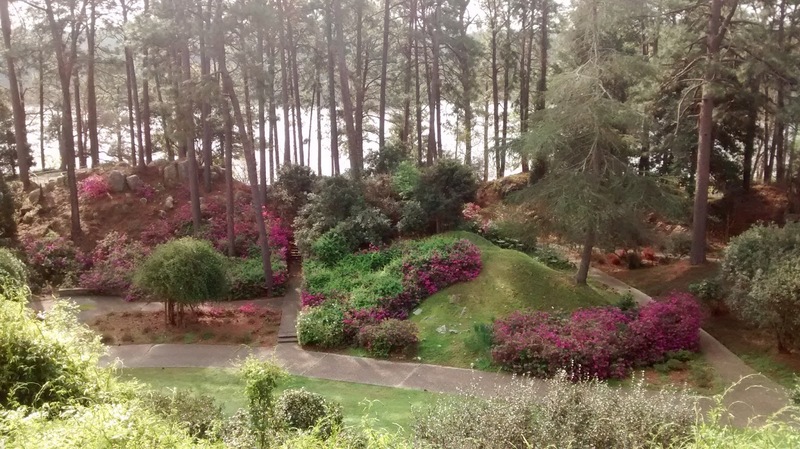 The Gardens had several layers and lots of little paths. The one and only selfie we took on the trip. The entryway had big old trees with Spanish moss. Having moved, I no longer have all the decorations or traditions that I've always had. Though they were sporadic through the years, most Easter items made an appearance at least every other year or so. We had the purple batik tablecloth, the plush stuffed lamb, and way too many blown-out and dyed eggs. In the vein of starting new traditions, we(mostly me) decided that we would have shrimp for Easter instead of ham. I did buy Easter egg dye for the shockingly high price of $2, so we may yet have dyed eggs for Easter. Upside-down plants! One flower plant and the rest is all cilantro. There are plenty of Easter decor ideas online for children, but not so many meaningful ideas for grown-up decorations. I liked this blogpost about gathering symbols. 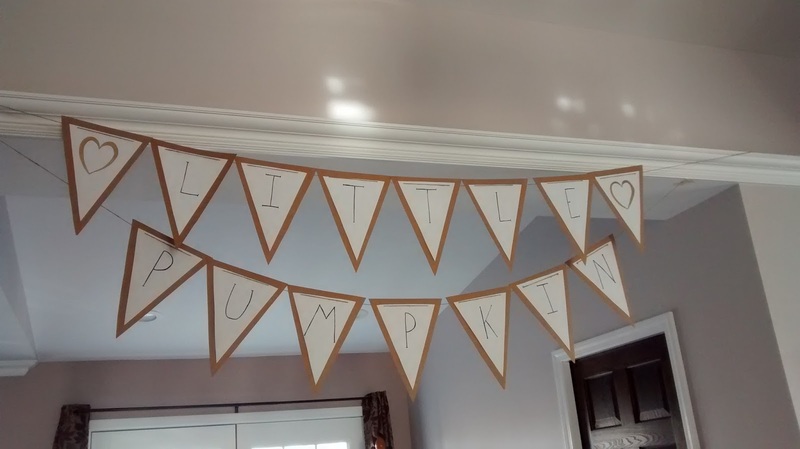 We put out a few this year on our front-room gathering spot. 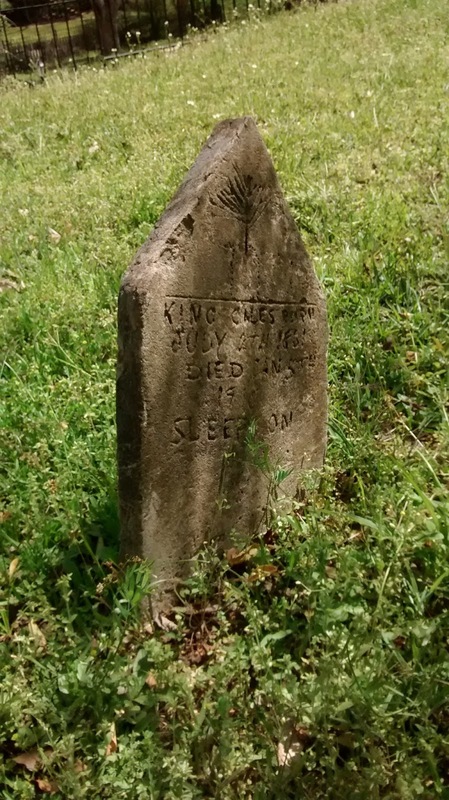 There are certainly thorn bushes in Texas, so that wasn't be a problem for a crown of thorns. Poor John helped me make the crown of thorns and got poked. Hobby Lobby down the street had fake palm branches for $2; I put out a pottery goblet(last supper) and some linen(burial cloth). We still need a donkey and a lamb, but we are on our way! 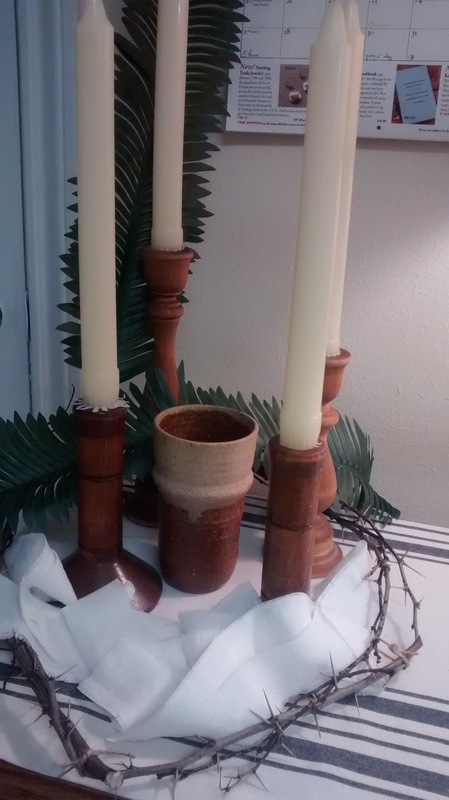 Four candles for Lent, a crown of thorns, goblet, palms, and linen. There are lots of plain solid purple tablecloths out there, but the only ones I've been able to find that are affordable and even remotely reminiscent of THE purple batik tablecloth of my childhood are these two here and here, and I'm still debating on whether or not they would give us seizures. 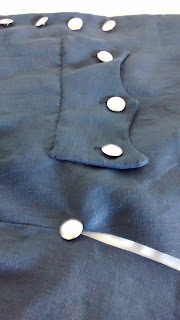 The alternative, I think, is sewing my own and having a tablecloth with a seam, which would almost certainly cost more. So what with the waffling back and forth, we probably won't have an Easter tablecloth this year. Oh well!